A variable, interesting month of reading. 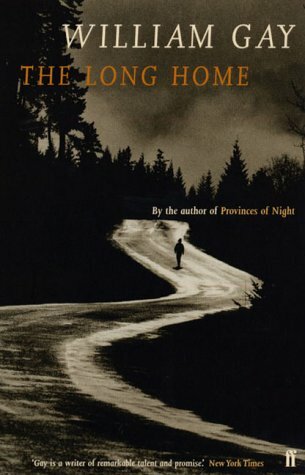 My read of the month was Joe Lansdale's wonderful coming of age tale, A Fine Dark Line. On returning back to his room in the Hotel Brasil, a run-down boarding house, Candido discovers the headless body of one of the other guests, a gemstone trader. While the odd assortment of other residents - including the owner, the janitor, a journalist, a political aide, a cross-dressing transformista, a prostitute-turned-pimp, and a cleaner who dreams of becoming a soap opera star - insist that the killer must have snuck into the hotel, the police are of the view that one of them must have committed the crime. Nobody, however, will admit to the deed and the police have no convincing evidence. Under pressure to solve the case, the detective arrests one of them, but then another guest is slain in an identical manner. In the meantime, Candido, an editor for a publishing house and a friend of homeless children, has discovered love but also been drawn into protecting a child from rogue cops who has escaped from a brutal orphanage. 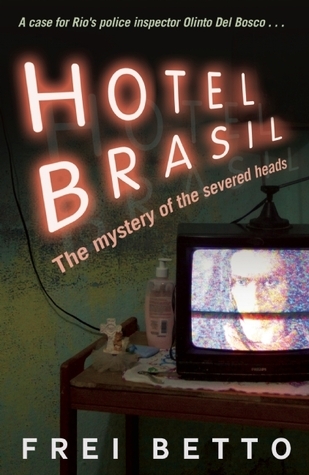 For me, Hotel Brasil was as much an allegorical tale about the state of Brasil as a country as it was a murder mystery. As with Alone in Berlin, where each floor of the house represented a different social group in wartime Germany, each resident in the Hotel Brasil represents a different constituency and varying social ills, and the murder case and travails of Candido, the central character, reveal the ways in which Brazilian society is structured and run. When taken in that context, it’s a fascinating literary tale of social inequalities and divides, corruption, and morality, with a glimmer of hope running throughout. In this sense, it is not a conventional murder mystery and those readers expecting such might find the tale not quite to their taste. I thought the structuring of the text was cleverly done and the prose was engaging and often witty in subtle ways. And despite its literary sensibilities, Betto does keep the reader guessing as to the identity of the murderer until the very end. A book I’ve been thinking about a fair bit since finishing. Friday proved more stressful than it needed to be. Submitting a grant application came right down to the wire and was finally accepted by the online system with two minutes to spare. The solution, as advised by the grant agency, was to upload some blank pdfs to complete a section not relevant to the application. A bit of a daft workaround but thankfully it did the job and my blood pressure subsided. 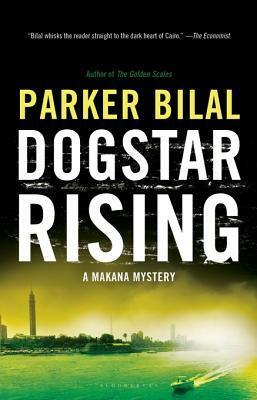 I'm falling behind with reviews, but the following should appear shortly: Hotel Brasil by Frei Betto, The Dunbar Case by Peter Corris, and Dogstar Rising by Parker Bilal. ‘The absence of evidence is evidence of absence, not proof of absence,’ Carter replied, opening a kitchen cabinet. After surviving his ship being sunk mid-Atlantic, Lieutenant Douglas Lindsay is redeployed in Naval Intelligence as a interrogator charged with mining captured U-boat crews for information. It’s a somewhat unusual appointment given that Lindsay is half-German and his cousin is a U-boat commander. Headstrong and with a creative, ruthless streak, Lindsay is convinced that the Germans have cracked the British navy’s codes. His bosses, however, do not share his concerns. Finding an ally and lover in Mary Henderson, who works in the tracking room at the heart of naval intelligence, Lindsay pursues his suspicions, grappling with Jurgen Mohr, the most senior U-boat commander in British captivity, despite warnings to tow the party line or face disciplinary action. 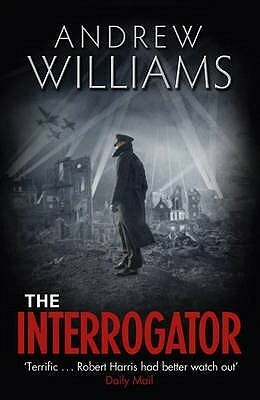 The Interrogator is a run of the mill wartime thriller in which the main protagonist, Lieutenant Douglas Lindsay of British Naval Intelligence, seeks to crack a senior U-boat commander to determine if the British naval codes have been broken. Williams’ hook is to make Lindsay half-German, bullish and reckless, and therefore not entirely trustworthy, and to add in a romance to the academic Mary Henderson who has been recruited into the naval tracking room and whose brother works with Lindsay (and needless to say doesn’t like him). The plot consists principally of two, intertwined battle of wits between Lindsay and Jurgen Mohr, the U-boot commander, and Lindsay and his bosses. The ending is pretty well telegraphed and the last part fizzles out and was somewhat unnecessary. Overall, an interesting enough tale, but lacked twists and tension. I reached 22 talks for the year on Friday. The 21st was at an international crime fiction conference in Belfast, where a bunch of academics talked about crime fiction and rurality. I've studiously avoided crossing my professional life with my personal interest, so wasn't sure about the wisdom of presenting, but I thoroughly enjoyed the event. Some interesting papers and great company always make a good combination, and thankfully my paper managed to avoid being a car crash in slow motion. Plus I came away with a list of books to track down, including those of Leigh Redhead, who'd made the trip from Australia to present. Off to Sheffield this afternoon to give another talk, then have another in Dublin on Thursday. Then three more next week on Monday, Tuesday, Wednesday. It's all go at the minute! ‘Mrs Jenkins, there’s no point ...’ the policeman interjected. ‘You left the door unlocked, you irresponsible moron!’ She shouted. ‘Are you okay, dear?’ An old lady asked, entering the house, a golden retriever in tow. ‘My next case, I believe,’ the policeman muttered. Monday evening I finally got to No Alibis bookshop in Belfast where I listened to readings and a conversation between Brian McGilloway and Anthony Quinn, with Andrew Pepper asking the questions. It was an excellent event in a wonderful venue and I had the bonus of going to dinner with them afterwards. The next day I went back and bought a bag of books. Definitely a place I'll be visiting each time I go back to Belfast. It has snowed heavily in the village of Sittaford, located on the edge of Dartmoor, but that doesn’t deter from six people meeting in Sittaford House to socialise. To pass the time they decide to hold a séance. However, when the spirits spell out ‘Captain Trevelyan ... dead ... murder’, it leaves them perplexed. Major Burnaby is so disturbed that he sets out into the darkening evening to tramp the six miles to Exhampton, six miles away, to check on the health of his long time friend. When he arrives he finds the Captain dead, as foretold. But who would have murdered him and why? Inspector Narracott is given the job of investigating the case, but he’s soon joined by an amateur sleuth who has a lot more to lose. 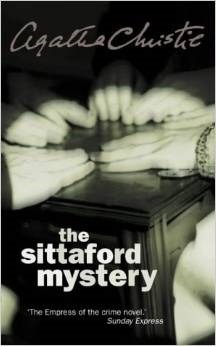 The Sittaford Mystery is a classic Agatha Christie puzzle. Isolated by a snow storm a small group of people hold a séance in which the death of Captain Trevelyan is announced. At approximately the same time, the Captain meets his demise. So barring the spirits being real, how could someone at the table know this? As Inspector Narracott investigates it becomes clear the residents of Sittaford are not all quite who they seem, but none seem to have a motive to murder the Captain. The pleasure in the story is the rum mix of characters - especially her amateur sleuth Emily Trefusis, most of whom Christie manages to move into the suspect’s frame, and the plotting wherein all the clues are present, but the reveal is still a surprise. The story is told in a light breezy manner and is entertaining fare. The next three weeks are going to be a little hectic. This coming week I'm presenting talks in Belfast (crime fiction) and Dublin (housing crisis), then the following week in Sheffield (city dashboards) and Dublin (funding open access repositories), and the week after in Limerick (smart cities) and Dublin twice (housing crisis and data brokers and privacy). We'll also be launching the Digital Repository of Ireland for which I'm a principal investigator. A pretty diverse set of engagements. I'm going to have to find a way to narrow my interests so I can recycle talks! 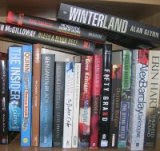 The first stop is Belfast tomorrow, in preparation for which I've been reading rural crime fiction. I finished William Gay's The Long Home yesterday, so expect a review this week coming. Magill stared at the open tin box. Inside were an assortment of jewellery, a dozen bank notes, some faded photographs, and a note. After an undercover agent is killed in Medicine Wheel County in a remote corner of Wyoming, the governor asks game warden Joe Pickett to investigate rumours about a local millionaire who might have a sideline in high profile disappearances. The local game warden is none too happy to see Pickett, especially when he starts to ask a few too many questions and to rub some of the locals up the wrong way. Whatever the situation is with the millionaire, it’s apparent that law enforcement in the county has slid-off the rails. As the weather closes, there’s no way for Pickett to leave or reinforcements to arrive, which means surviving on his own or going the same way as his predecessor. Meanwhile, at the other end of the state, his daughter might be sharing a university residence with a very disturbed young man. 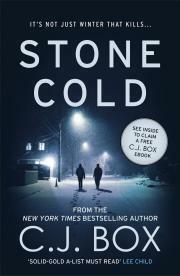 Stone Cold is an example of a law enforcement thriller; a kind of game warden ‘mission impossible.’ The format works by taking an ordinary family guy, putting him into an extraordinary situation, then letting the game of cat and mouse begin. If you are prepared to suspend your disbelief a few times it works pretty well. Pickett is an interesting enough character who rarely opts for the sensible course of action, or backs down, but instead goads the opposition and then battles through. In this, the fourteenth book in the series, the opposition is a millionaire who is running a high-class hitman-for-hire operation from his back woods ranch, who is a local philanthropist but also controls the local law enforcement though not some of his employees. There are a number of weak plot devices throughout, including the appearance of characters from previous books, and the thread involving Pickett’s daughter is an unnecessary distraction. That said, there’s a colourful set of characters, there’s plenty of action and tension, and the story rattles along at a fair clip. Overall, a tale that’s difficult to take too seriously, but is still entertaining fare. Nitrogen is vital to life, a key element for the growth of food. It’s also key in the production of gunpowder. It is all around us in the atmosphere, but it is only naturally converted from air into the soil through certain bacteria on the roots of legumes and by lightning. That is why the fertility of soil gets depleted and crop rotation has been essential for maintaining yield. Prior to the early twentieth century, the only other large-scale sources were a couple of nitrate rich areas - deposits in deserts or deposits of guano that were fought over and heavily depleted. As the population rose towards the end of the nineteenth century there were concerns that there would be mass starvation as the world’s agricultural land reached peak food, which is estimated to be foodstuffs for 3-4 billion people. The solution was the discovery of a method to fix nitrogen leading to the production of nitrogen-based fertiliser. It was a process developed and driven by two Germans, Fritz Haber and Carl Bosch, aided by a massive team of scientists and technicians and the industrial might of BASF. The scale of effort involved in cracking its industrial production made it the Manhattan project of its day. It also had other knock-on consequences, keeping Germany in the First World War by boosting both food and explosive production. The consequence of the discovery is an obesity crisis in many nations, proliferation of weapons, and massive nitrogen pollution of rivers and lakes. 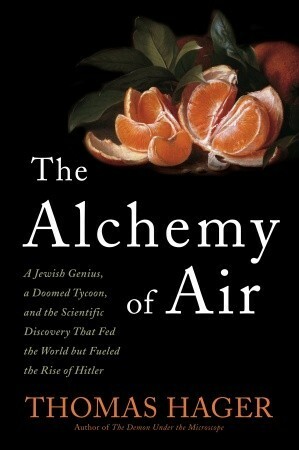 After setting the scene and charting the natural sources of nitrogen and the wars fought over its harvesting, The Alchemy of Air tells the story of the fixing of nitrogen, primarily through plotting the careers of Haber and Bosch. Both men were ambitious and determined, and their careers went up and down at different points, and both won Nobel prizes. Haber, a Jew, was nationalistic and a somewhat confrontational and controversial character, having also invented gas warfare in the First World War, but ultimately became a victim of Hitler’s scientific culls. Bosch was more reserved and private, but was a schemer and empire builder, helping to found and then lead IG Farben, the world’s largest chemical company. He did try to confront Hitler’s regime but was eased to one side, dying an alcoholic. Hager’s telling gets the balance between wider historical context of seeking natural sources of nitrogen, the science in its fixing, and the biographies of both men just right for a popular science history text. Moreover, the narrative is interesting and engaging. It does though slightly oversell itself - the story is not untold and Hager’s account is one of a number, and nor are Haber or Bosch as forgotten as he suggests. Sure, they might not be household names in America, but they would be well known within the sciences and continental Europe. Overall, a well-told tale of the development of the science and technology that keeps over 2 billion from starving to death. Whatever else happens this week - and it's set to be a busy one - I'm going to have to make some progress on thinking about rurality and crime fiction for the 'Setting the Scene' conference in Belfast on June 15-16th. I still haven't worked out my angle into the topic. I'm now going to move from reading rural based crime fiction to the academic literature, seeking inspiration. Expect reviews this week of C.J. Box's Stone Cold and Agatha Christie's The Sittaford Mystery this week. The thump of a dozen cutting machines died to a loud hum. The operatives gathered round, slapping his back and quizzing him. As they headed back to their machines he took Jim over to his machine. The thunk was followed by a loud scream. ‘Pity it wasn’t your head,’ the foreman muttered. Inspector Jimmy Perez has taken his fiancée, Fran, to visit his parents who live on the remote Fair Isle. They arrive just as a large storm blows in cutting the island off from the rest of the Shetland Isles. Perez has not managed to escape work, however, as the head of a local bird observatory is killed on his first night there. He starts to investigate the murder on his own, the weather preventing reinforcements and a crime scene team from travelling. The three centre staff and the five visitors all seem shook up by the death, but one of them is almost certainly the murderer, and they might kill again to protect their identity. Perez must make quick progress, but the weather and lack of resources conspire against him. 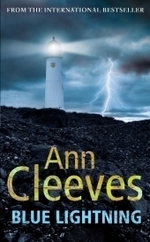 Blue Lightning is the fourth book in Ann Cleeves’ Shetlands series, and in my view the strongest one in the sequence. Cleeves uses a classic setup of a murder amongst a small number of characters who are isolated and have to remain together whilst the lone detective tries to determine which one of them is the killer and to prevent further deaths. As with the other books there is a strong sense of place and good contextualisation, this time with respect to bird watching, and strong characterisation. Where the story excels, however, is with respect to its emotional register, which is difficult to discuss without giving spoilers. The plot unfolds as one might expect with the setup, with Perez trying to determine why the head of the bird observatory was murdered and by whom. In that sense it’s rather a straightforward tale, but Cleeves mixes it up with a couple of savage twists that are somewhat signposted, but nonetheless have deep emotional impact and leave the reader surprised she had the nerve to perform them. Overall, an interesting take on an established mystery trope. The summer of 1958, Dewmont, East Texas, and thirteen year old Stanley Mitchel is about to graduate from being an innocent boy who spends his days reading comics and playing with his dog, Nub, to murder detective. Whilst playing behind the drive-in movie theatre recently purchased by his parents he discovers a metal box half buried in the soil next to a burnt down mansion. Inside are letters between J and M. Stanley learns that thirteen years earlier, on the same evening, two young girls died: Margret, the daughter of a prostitute was beheaded on the nearby train tracks, and Jewel, the pregnant daughter of the richest man in town, died when her house was set on fire, the rest of her family, including her brother, James, surviving. Enlisting the help of Buster Lighthorse Smith, a retired Indian Reservation policeman, who works as the drive-in projectionist and lives in the black part of town, Stanley starts to investigate the two deaths. His actions, however, set in motion more than he bargained for, leading to a set of terrifying events that will live long in the memory. A Fine Dark Line is a coming of age tale set over the summer of 1958 in town of Dewmont, East Texas, and if I read a better book this year it’ll be an exceptional tale. 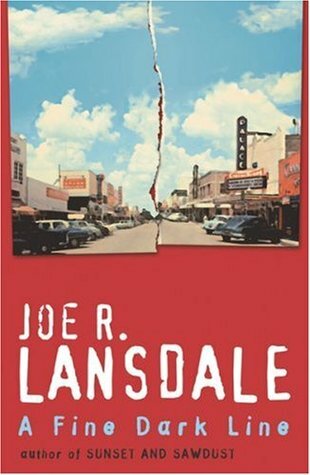 I’m a long time fan of Joe Lansdale. His writing is consistently good and he regularly hits it out of the park. This is one of those occasions. The story is told as a reminiscence, the text effectively the script of a porch-told tale. The voice is pitch perfect and Lansdale drops the reader into the world of an innocent thirteen year old boy living in a liberal family in a socially and racially divided society as he learns of the world’s various vices, some of its terrors, and how to survive them. The characterisation is excellent, especially Stanley, his older sister, Callie, the black housekeeper Rosy Mae, and the projectionist and former cop, Buster Lighthorse Smith, and there’s a clear sense of character development as the story unfolds. Where the tale really excels is the sense of place and time, and the plot. The initial hook is strong and Lansdale then reveals a number of monsters, each of whom is a credible murderer and threatens Stanley and his family. The result is a taut, tense mystery that is vividly told and keeps the reader engaged and guessing until the final page. I thought it was a wonderful, poignant and riveting read. An interesting month of reading. 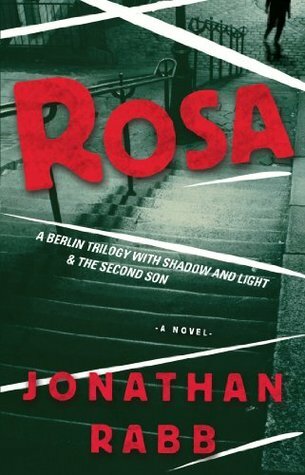 The two standout reads were Rosa by Jonathan Rabb and The Devil in the White City by Erik Larson, with the former my read of the month.